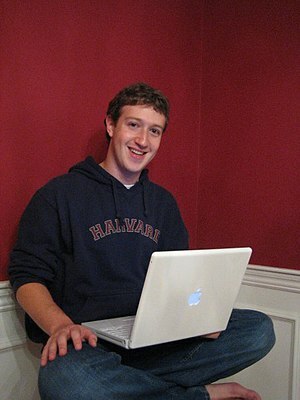 I have never made it a secret that I am always willing, ready and able to check out new Social Media Platforms. 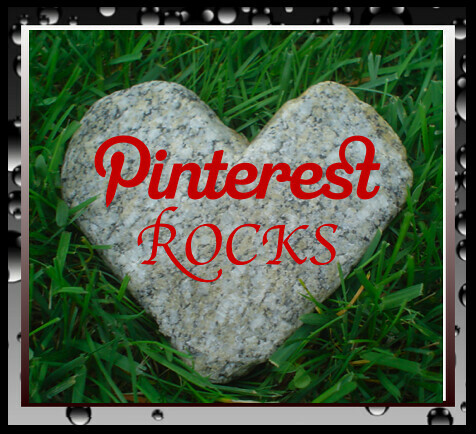 So needless to say I am loving Pinterest so if you are not on yet, you may want to make the dive. Image Driven: Most people are very visual and it is amazing to see what your friends are pinning and repin the cool stuff. I am developing some favorite Pinners already because they pin really cool things. You can really get a peak into the personalities of people based on things that they pin. It is really fun! This is a great platform that allows people regardless of social savvy to have a bit of fun with social media. TRAFFIC! Yes I admit that it is really starting to be a huge traffic boom for me. I add blog images, link those images back to my blog and this has been really a boost for my blog traffic. I think as the popularity increases so will the traffic to my blog. 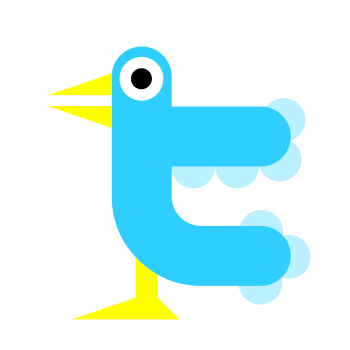 So overall this platform is fun, great for traffic and overall a For The Win Social Media Platform for all! Take a look at the Infographic below to see how popular it has become. Everyone has to admit that Facebook is pretty awesome. Even those that hate Facebook have to acknowledge that Facebook is pretty amazing and has really changed how we communicate, share information and how businesses communicate with customers. The people that hate Facebook would probably never admit this by I know that they are harboring a secret social media crush on the platform. Although there are business pages for Facebook I find that a lot of people use their personal profile as a way to network, I do this as well. Facebook started as a place to catch up with family and friends but soon turned into a place that I do a lot of business networking so I would say that 90% of my Facebook personal page interaction is business related. Due to some of the recent changes with implementing Facebook Timeline, tweaking of lists and the introduction of personal subscriptions it has made it really easy to use Facebook personal page as a business tool in addition to having personal interactions with friends and family. If you select to use your personal Facebook page a an avenue of business as well, there are a few things that you should do, if you have opted into Facebook Timeline. 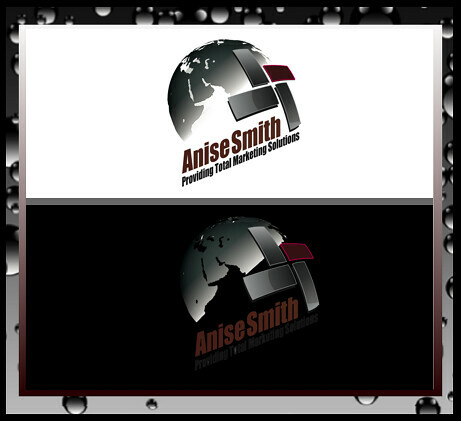 Branding Cover Photo: Use the Cover Photo as an amazing branding opportunity for your company. I had the opportunity to work with Joshua Bevan to create an Amazing Cover photo for my Facebook page. The blog image was created by Joshua. How much does he ROCK!! Watch his video below. Tweak Your Privacy Settings: Create lists that allow you to post information for a public profile, business contacts and friends. Allow Subscribers: This allows people that are not your friends to follow your public profile. After you do this make sure you post information of value for the people that have subscribe by using the public option when you post. 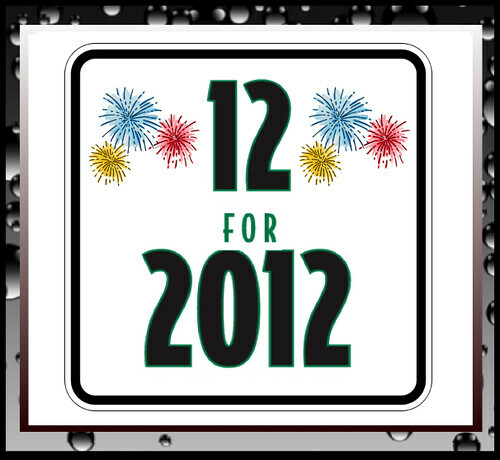 Have fun and rock some serious business in 2012 start with having a business focus with all online channels, that’s my goal! Once I realized that I would be venturing out on my own, a bit sooner than I had planned due to unique circumstances I knew that it was very important that I really brand myself effectively. Yes, I said branding myself. While in grad school I had a Branding Class that really happened at such a transitional time in my life but most importantly really affected how I viewed companies and myself as a brand. This class really demonstrated and taught the importance of effecting branding, that really extends to individuals as well. I’ve recently noticed a lot of people with phrases that describe their employment as, Self employed and loving it, I work for myself, or even Me in an area that requires a job title. This is great to make a statement, joke about with friends and or when you are hanging out with your pals. 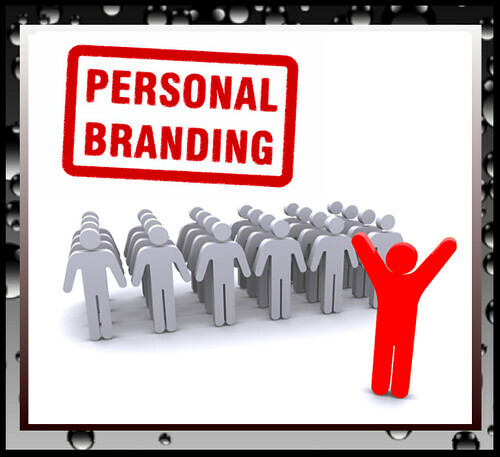 However if you are serious about your chosen path of self employment or as a freelancer, you are NOT doing yourself a favor or effectively marketing YOUR BRAND. When self employed you are in a position that you can really call the shots for yourself, work at your own pace and work from any location even on the beach if you want. How awesome is that? Well on the flip side, you are also totally responsibility for accounting, sales and marketing YOURSELF. This is why effective branding is very important. Even if you are using your given name as your business you should create a memorable brand identity and that starts with a professional logo. I say professional logo because when you start in creation of your brand identity you want to make sure that your brand is presented in a professional manner and that the logo is created in a variety of different formats. If you are graphically challenge, you may want to go with a graphic designer to tackle this project for you. You should have a copy of your logo in jpg, pdf, png with a transparent background and EPS formats. The importance of having your logo in EPS format is that it allows the logo to be resized effectively without pixelation. 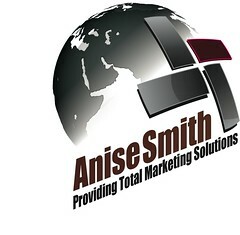 This allows you to add your logo to web and print projects and have them look professional. Creation of your logo is the first part of creating an effective brand identity for YOU as a freelancer or self employed person. So start spreading your newly branded logo around! Add it to your blog, all of your social media channels and don’t forget to add it to your email signature. Now that you have your logo completed you can now create a great color scheme to match your logo and add it to your entire online presence. So let the Branding begin!! Social Media is quickly taking the place of traditional media, so shouldn’t there be a conscious effort to step up the INTERNET MARKETING game beyond just a Facebook post and 140 characters and link by way of Twitter. There are so many other channels that need to be tackled if marketers are NOT to be viewed as people just playing on Facebook and Twitter. Content: One of the first things that must be planned when creating a marketing strategy is planning the kind of content that will be provided to a particular social media channel. One thing that must be a given, the content must be GREAT. No matter what Content is still King. Original Content: Creation of original blog content is a great way to provide relevant and useful information to followers. It allows a way to put a spin on a topic while providing information of value. Shared Links: There are so many blogs, websites and new sources online that supplying relevant and useful content is easy to do by sharing links to friends, followers and customers by way of social media channels. Curated Content: This is one of the fastest growing segments of social media and it is really growing in popularity due to the ability to supply an abundance of relevant information to followers. Additionally content curation allows the ability to share a variety of opinions by sharing different content from an abundance of sources. Optimization: There is an abundance of different social media channels, so much so that it is almost overwhelming. When creating an Internet Marketing Strategy it is highly recommended that a selection of different social media channels are selected and the content is then optimized. 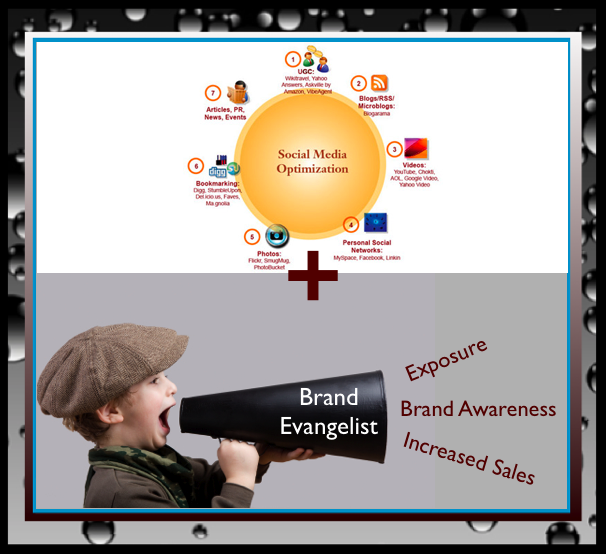 This involves merging traditional SEO/SEM strategies into the social media marketing plan. Delivery: After creating great content, then optimizing that content for social media channels the next step is creating an effective way to deliver that content to your followers. Facebook, Twitter and Stumble Upon is a great vehicle to deliver your content. These channels should not, by any means be the extent of your Internet Marketing Strategy. Evolution: One of the most important thing in any Internet Marketing Strategy is to continue to evolve, grow and add more services to your company capabilities. Evolving beyond social media, status updates and 140 characters is something that we all must aspire to. 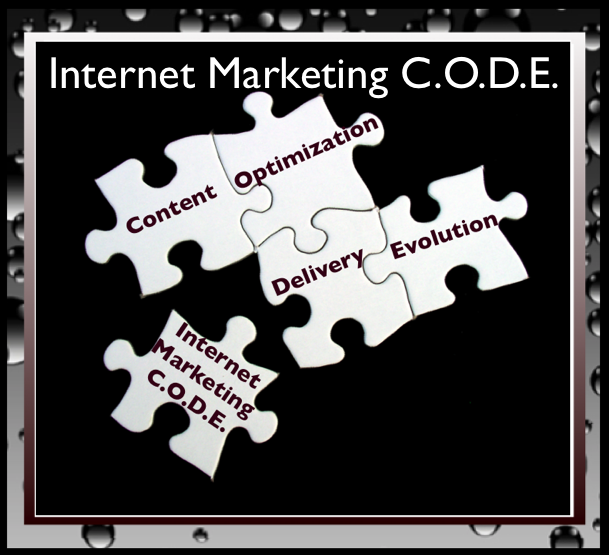 Internet Marketing CODE: Content, Optimization, Delivery and Evolution is a MUST!